Some of your favorite bands convert their albums well to live performances—others are a major letdown. Today’s featured band is one I’ve seen a handful of times at various venues and have always put on an outstanding show. Luckily enough for anyone reading this in or near Wisconsin, they are coming to Madison in September and Milwaukee in October! 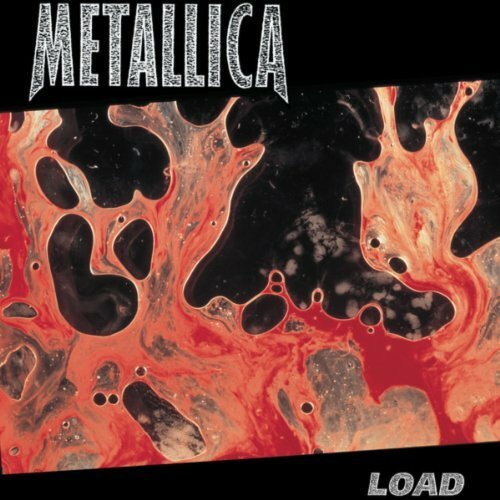 A while back I talked about Metallica and without question their most recognized album of all time. Any fan would likely recommend a band novice to start with that record as it’s probably the most “easy listening” of their efforts. And by that, I don’t mean softer rock—it’s just a bit more pop than some of the really metal early stuff. From 1983 to 1991 they had a fairly signature sound, and it was heavy, dark and loud. Although that type of music is a-okay with me, some people find themselves only able to stand a short period of that type of tunes and need to shut it off. Perhaps realizing the potentially polarizing nature of their sound, Metallica began to reinvent their sound, experimenting a bit with other elements like southern rock, blues and country. It certainly alienated some of the band’s loyalists, but brought in a whole new audience not only to the new stuff, but the old as well. The result of the new sound was Load and it was released in June of 1996. In spite of the backlash from the changes, the album debuted at number one on the Billboard 200 and stayed there for a month. Selling nearly 700,000 units in the first week, it was their biggest opener ever and the biggest debut of any album that year. To date, it has sold nearly 10 million copies worldwide. Metallica, over the course of ten studio albums spanning four decades, is creeping up on 150 million sold. Critical reception of Load was very mixed, to put it lightly. Rolling Stone promoted the album, citing the blend of ‘80s biker rock with ‘90s post-grunge. Others like All Music summed it up fairly simply: you open a Metallica record and expect to get a thrash-metal, head-banging effort. As a result, they felt Load was repetitive and uninteresting. The band has expressed some of those early naysayers have approached them years later discussing how they never game this album a fair shake, mainly because of the media portrayal. But going back to it, some of it is pretty awesome. Twenty-two years ago I recall going into this with a pretty open mind. Is it the same style and sound as previous? Not at all, but that isn’t always a band thing. Potentially my favorite track of theirs all-time is off this record, partially because it’s so different from anything else they’d done to that point. There is a little bit of the hard rock vibe still, but it just doesn’t go into the dark or political themes Metallica had generally been known for. There were three or four heavily played tracks on the radio and I think some people didn’t even realize they loathed the record but really liked a couple of the singles. Funny how that works. Part of the disappointment too, may have been the five year hiatus between albums. If you make fans wait that long, they tend to expect a masterpiece. Is this album perfect? Probably not, but it’s also far from terrible or uninteresting. Maybe you didn’t want to hear Metallica do a quasi-ballad like ‘Hero of the Day’, but it’s good, and a solid track. Shortly after this album and the quickly released follow-up effort, Metallica found themselves embattled in all the Napster controversy of the time. Drummer Lars Ulrich was virtually the villain opposing music sharing sites. Because of that, the band lost more street cred, and really hasn’t been the same since from a popularity standpoint. That doesn’t make the music that came before it less great though, and anytime you can go back to some classics, it’s a good day. Pick this one up for $5.99 today; it may be the cure to your Tuesday blues. Perfect timing as they are coming to Madison on September 2nd at the Kohl Center! Saw them the last time they were here and it was an amazing show. I’m planning on going to the Kohl Center show, it’s been about 15 years since I saw them last. How about you? Exactly my thoughts Matt! Very cool that you were able to see them when they were in town. Got my tickets on pre-sale today! Going to be one heck of a show. Awesome! I didn’t get pre-sale access, hopefully still plenty available on Friday! I can’t believe you don’t have Hero of the Day in the top 3. I suppose I could put that 3rd. Would be a fair ranking. What would your Top 3 be?